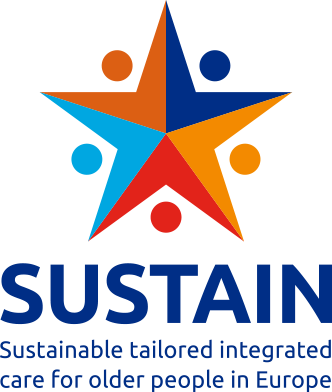 Discover more about the Person Centred Coordinated Care Experience Questionnaire (P3C-EQ) aim and how the SUSTAIN consortium worked together to translate it and adapt it to our specific project needs. The SUSTAIN team have been working with academics from the University of Plymouth to translate a questionnaire that explores peoples’ perspectives on the quality of care they receive and the extent to which this is person centred and coordinated. The Person Centred Coordinated Care Experience Questionnaire or P3C-EQ for short, was developed by Dr Helen Lloyd and her team working collaboratively with patients, health service professionals and commissioners. The aim was to develop a relatively brief measure that health services (such as general practices) could use to monitor how well new or existing initiatives were performing in delivering care that is tailored to the individual and based on their needs and preferences. The P3C-EQ measure is unique in that it was co-designed with patients and informed by service users guidelines of what good care looks like known as the I statement narratives (National Voices, 2017). The P3C-EQ has now been translated into German, Estonian, Spanish, Catalan, Dutch and Norwegian. The SUSTAIN team at each site have worked with Dr Helen Lloyd and her team to follow a rigorous translation process. This has involved forward translation (translating the questionnaire into the desired language), reconciliation (merging and comparing forward versions), back translation (translating the forward version back into English), back translation review (comparing back translations with original version), harmonisation (comparison of multi-language versions), pilot testing using cognitive debriefing (testing on a small number of people) and finalisation. 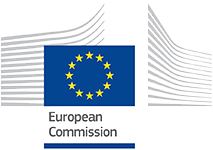 The process of translating the measure has resulted in a much better measure as it has entailed the scrutiny of a range of academics and service delivery staff and patients across Europe. Through the process of translation we have learnt that some concepts such as self-management or support for self-management may not be salient in some contexts, and that for older individuals this might be an unfamiliar concept for them to grasp. We hope that over time with more empowering approaches to care this concept might become more familiar to the next generation of older adults. Reassuringly the concept of being treated as a person (rather than a disease) appears to have cross-cultural validity and we look forward to seeing these processes improve with targeted interventions such as those being implemented by Sustain. This is tantalisingly close with sites beginning to collect data. The findings of the translation work will be written up and published in academic journals and the translated versions of the measure will be freely available to use subject to registration with Plymouth University.